It is rare that I make a trip to Chicago or Toronto without spending an evening at Second City. There is nothing more entertaining (to me) than great improvisational comedy. 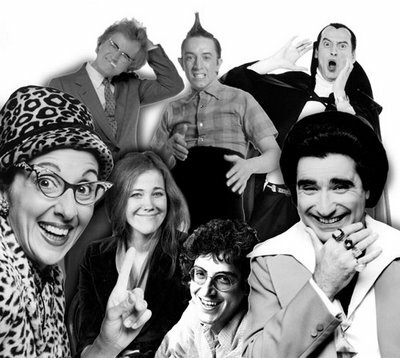 Growing up, I was a Second City TV groupie of sorts, now possessing the entire DVD collection of SCTV. I love the creativity, thinking on your feet and ability to laugh at oneself (and others). So it was easy to talk about Drexel University Law School‘s “Improv for Lawyers” class in an article written this week by Associated Press reporter Kathy Matheson. Matheson was writing about the uniqueness of such a law school elective, taught by actress/comedian Sharon Geller, who has also provided improv training as a CLE to lawyers in various settings. While this all coincidentally took place in my home base of Philadelphia, it was my role in the American Bar Association–as a past chair of the Law Practice Management Section and a current member of the ABA’s Standing Committee on CLE that led her to ask about my experience and views on the subject. I was asked about the uniqueness of the program and the value to a new or seasoned attorney. In many law firm retreats where I’ve participated in some manner–either in organization, as a speaker, or in conjunction with a business development project–an improv session taught by one of many skilled troupes in the United States (including Second City traveling casts) is used to develop skills including team building, public speaking, “thinking on your feet” and training for improved client and prospective client interactions. Improv has also been used by a number of law firms I work with for associate and partner professional development training programs in-house. Whether or not they qualify as “substantive legal training” as a CLE is a state-by-state matter–but that is a subject for another post. Whether or not it is CLE accredited, the program provides a useful training ground that incorporates numerous elements of law practice. The Drexel class is a huge hit. The school has always been known for providing some out-of-the-box “real world” training. In a short time, the law school has done a nice job carving out space and a good reputation in an excellent Philadelphia area law school market (led, of course, by my undergrad and law school alma mater Temple). In the AP article, Matheson quotes a former course participant and present Ballard Spahr associate about being prepared for responding to difficult things or difficult people. Yes, those are not wasted skills for a new attorney to possess. And at a time where law firms are becoming increasingly more focused on PD and business development, an ability to be creative, think outside the box and challenge conventions is not a bad thing to include in the workplace curriculum. Many law firms should take note of the interest that a course such as this one has generated. It takes some guts and personality to succeed on the improv stage. There is no question that the skill set translates to the practice of law.